The number of individuals in prison around the world for raising their voices online is on the rise. In 2014, the Committee to Protect Journalists found that over half of imprisoned journalists were arrested for activities conducted on the Internet. In a 2015 report, Reporters Without Borders cited 178 incidents of imprisoned â€œnetizensâ€ in just a selection of twelve countries. Now that individuals can speak up without the need for institutions or gatekeepers, states choose the most direct way to take away their power: incarcerating them, and taking them offline. It’s not just those who speak out who are sent to jail. 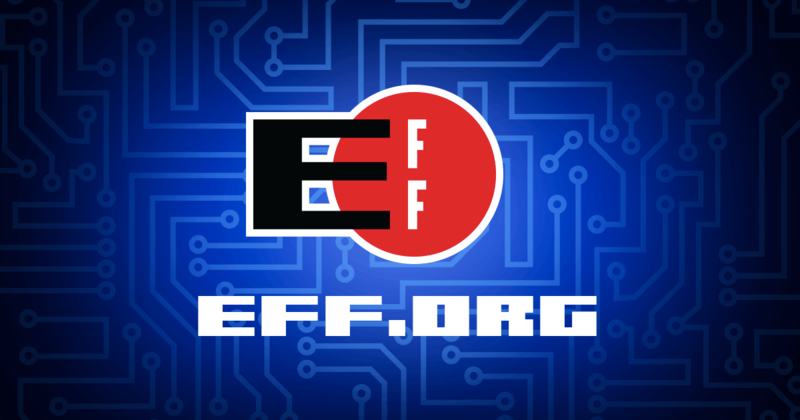 Increasingly, EFF has seen coders, designers, makers, and hackers detained or threatened with prison for their work protecting or enhancing free expression and privacy. Writers, speakers, and journalists have long been understood by those in power as dangerous elements; now â€œtechnologistâ€ has joined the list of occupations that corrupt politicians and dictators fear. EFF supports the principles of free expression laid out in Article 19 of the Universal Declaration of Human Rights and believes that those principles must extend online. The right â€œto seek, receive and impart informationâ€ includes a right to devise and share tools that enable and protect those abilities. 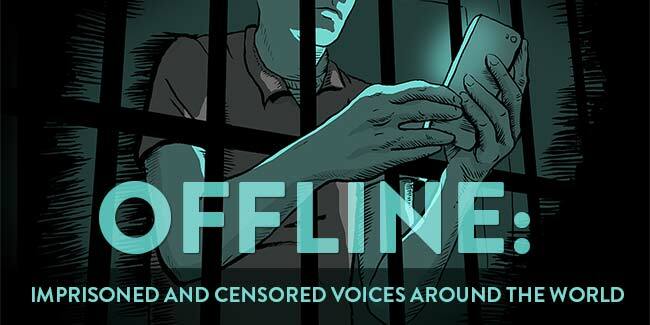 â€œOfflineâ€ showcases key cases that may not be receiving wide coverage, but we believe speak to a wider audience concerned with online freedom. Our international case advocacy is centered around awareness-raising. Over the years, we have often heard from those who have been released from detention that shining a spotlight on their case led to better treatment in prison or a speedier release. It is from this premise that we work, additionally ensuring that we have full support of an individualâ€™s loved ones before we proceed with action. Policy makers intending to promote creativity have always overemphasized the importance of “copyright protection” without addressing the wide range of other concerns that are necessary to consider when making comprehensive innovation policy. In an era where everyone, with the use of their computer or mobile device, can easily be a consumer, creator, and a critic of art, we can not afford to ignore this digital ecosystem of artistry and innovation. Yet copyright remains completely out of touch with the reality of most creators today, while the rules that do pass seem to stray even further from addressing their needs. Transparency is Necessary to Ensure the Copyright Industry Won’t Sneak Policies Through the Back Door | Electronic Frontier Foundation. Last year, weÂ identifiedÂ European copyright reform as one of the main developments to watch for in 2015, and barely a month into the year this debate is already heating up. 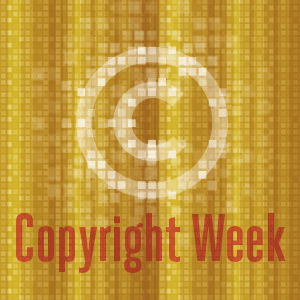 Coinciding with the release of aÂ draft European Parliament reportÂ written by Julia Reda, Member of the European Parliament for the German Pirate Party,Â Copyright for CreativityÂ (C4C) have also released their own new Copyright Manifesto this week. 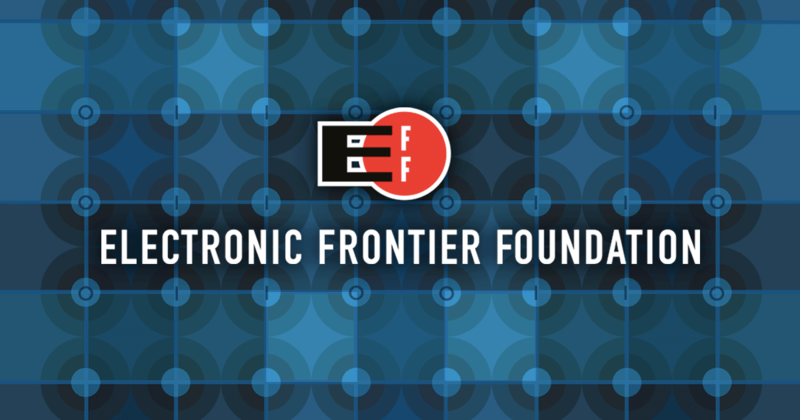 Progressive Visions for the Future of Copyright in Europe | Electronic Frontier Foundation.